This product is supplied as a download and is delivered during business hours. The download is not instant and can take 1-2 businsss days to be supplied. 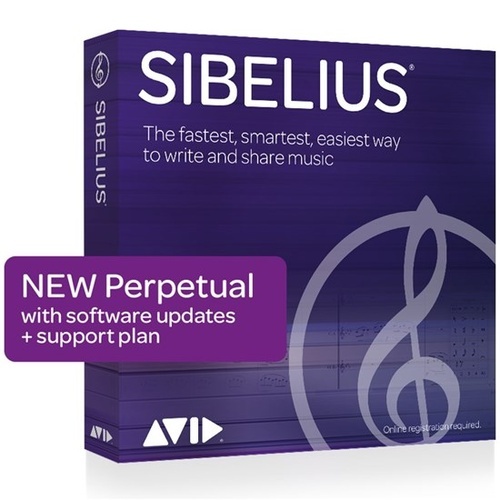 Avid Sibelius First is the fastest, smartest, easiest way for everyone to start to write and share musicfrom aspiring composers and songwriters, to teachers and students. Even if youre more comfortable playing instruments than using notation software, the intuitive interface will guide your songwriting process. Magnetic Layout and other time-saving tools make it easy to get professional results fastand the premium sound library plays back your compositions in stunning detail. When youre done, choose how you want to introduce your music to the worldmake a video of your score, export for iPad, or share directly to YouTube, SoundCloud, and Facebook. The new user interface is so intuitive, youll be able to jump in and start writing music right away. Choose the note input method thats most comfortable for youplay a MIDI instrument, transcribe audio, or scan sheet music. Revolutionary features like Magnetic Layout automatically take care of the details, so you can write music and create print-quality scores with ease. If you get stuck or want to take your skills even further, just check out the how-to and help content. Want to hear how your ideas will sound in real life? Play back your scores in beautiful detail with the amazing collection of sampled instrument soundsor use your own VST/AU virtual instruments or effects. If you need further inspiration, check out the Score Starter and Ideas library to kick-start your creativity. 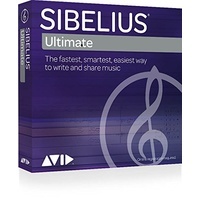 With Sibelius First notation software in your toolkit, writers block wont stand a chance. What fun is it to write music if you cant share it? Sibelius First notation software gives you more options than everexport scores to video; share directly to YouTube, SoundCloud, and Facebook; publish scores online; export to iPad; and more. Of course, you can also print, email, export scores as MIDI/MusicXML, and create audio files. You can also send your scores to the Avid Scorch mobile app and take them with you wherever you go. What is the difference between Sibelius and Sibelius First? Sibelius First has fewer features, being designed for musicians who don't need all of Sibelius advanced features - for example, primary and secondary school students. You can find more details about the difference between the two products here.